Marie-François Firmin-Girard – private collection. 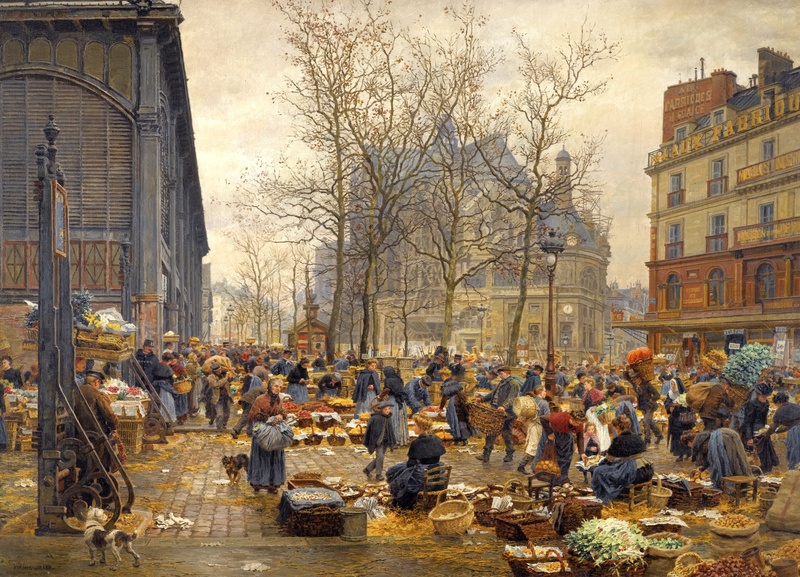 Title: Autumn Market at Les Halles. Date: c. 1860s-1910s. Materials: oil on canvas. Dimensions: 83 x 117 cm. Inscriptions: FIRMIN-GIRARD (lower left). Sold by Sotheby’s in New York, on May 5, 2011. Source: http://www.sothebys.com/content/dam/stb/lots/N08/N08738/218N08738_636p4.jpg. I have changed the light and contrast of the original photo.